As it turns out, I had unknowingly snapped a shot of history. 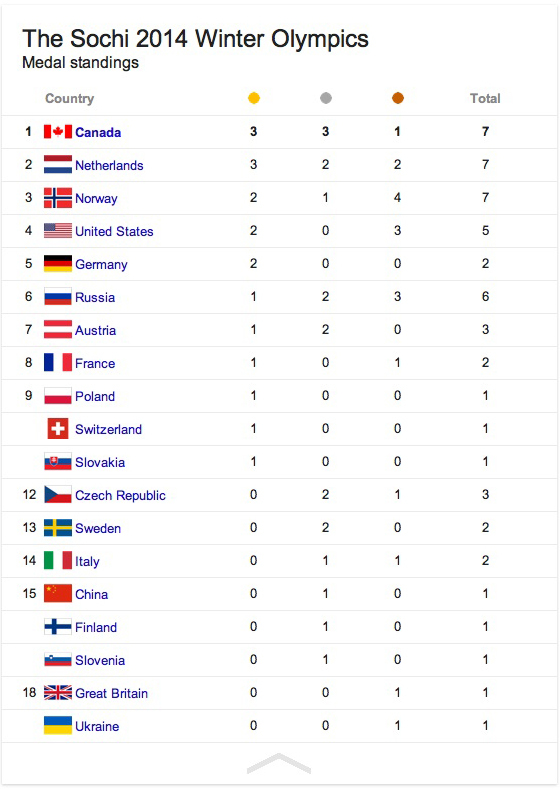 Apparently day 4 of the Sochi games marked the first time that Canada has ever led the medal standings at either the Winter or Summer Olympics! Looks like we’re are owning the podium after all!